Guests enjoy coming to stay at Star of Texas Bed & Breakfast, so they can relax and enjoy time with each other and experience our small town. Others want to tour the Texas Hill Country Wine Trail and visit attractions nearby. We have limited shopping, but we do have great local restaurants and antique shops. For events in the area, visit the site Visit Brownwood.com. The Turtle Restaurant & Enoteca – Slow food restaurant and wine bar in downtown Brownwood. Humphrey Pete’s – Known for great steaks and baby back ribs. 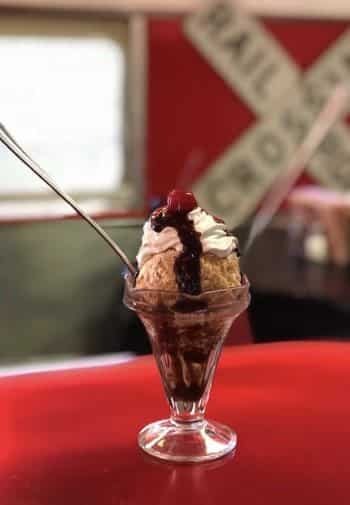 The Runaway Train – Old train dining car and serving great burgers and shakes. Steve’s Market & Deli – A fun, eclectic deli downtown with great sandwiches and soups. Underwood’s Cafeteria – Buffet-style barbeque and fixin’s. La Sorella – Fun wine & beer bar with indoor and outdoor seating. 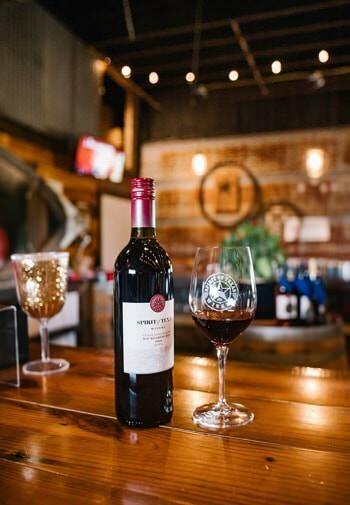 Spirit of Texas Winery – Local winery with lots of fun events to enjoy. Wedding Oak Winery in San Saba, great winery just a short drive away. Brennan Vineyards in Comanche, winery close by with award-winning wines too. Brownwood Art Association – Art shows throughout the year. Lyric Theatre – Plays with mostly local talent offered year round. The Genealogy and Local History section of the Brownwood Public Library & other great museums for the history lovers. Shockey Stables – Wonderful folks offering horseback riding about 1 hour away. Regency Suspension Bridge – Last bridge in Texas of its kind. Gorman Falls at Colorado Bend State Park – Amazing trail and waterfall in wet weather. Bayou Kayak Rentals 325-642-4951 – Book ahead to paddle Pecan Bayou.